Below I have selected products that will leave your skin glowing and have you ready for a perfect Valentine’s Day. Make sure to scroll to the bottom for my entry details. Good luck! Give your skin a hydration boost with the Lace Your Face Hydrating Rose Water Facial Mask. Cucumber Extract and Rose Essence are two ingredients in this mask that help with soothing your skin and giving skin a radiant glow. Use on clean, dry skin and wear for about 15 minutes. After removing, massage the serum into skin. It’s super easy to use and the best thing is that it’s totally reusable! 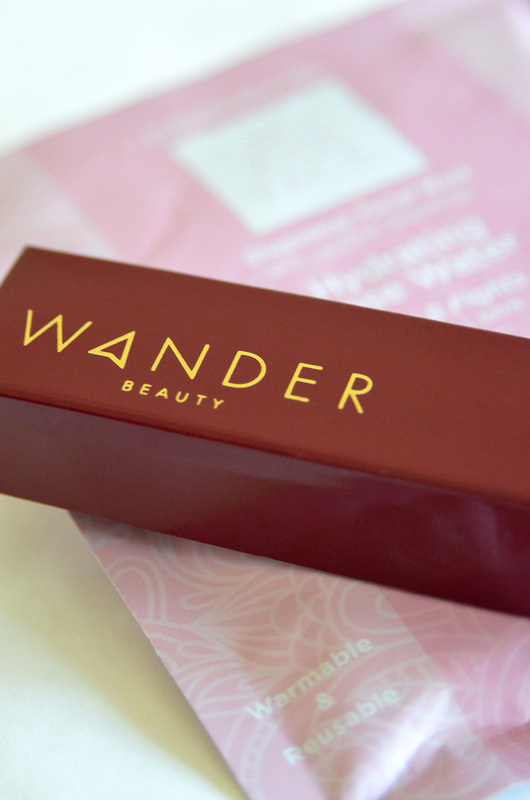 Wander Beauty Dual Cream Eyeshadow and Liner is a two-in-one pencil and creates a multitude of eye makeup looks. One end is Gilded, a deep golden-bronze cream eyeshadow. Swipe this color over eyelids from lash to crease and blend out. The other end is Black Jet, a thin, black eyeliner for defining the eyes. After applying, smudge the two liners together with a blending brush or q-tip for a lovely smokey eye. Beauty Blender All About Face features an original BeautyBlender for applying your foundation seamlessly, a Beauty.Blusher for the perfect blush application, and a Micro.Mini to conceal any under eye shadows. 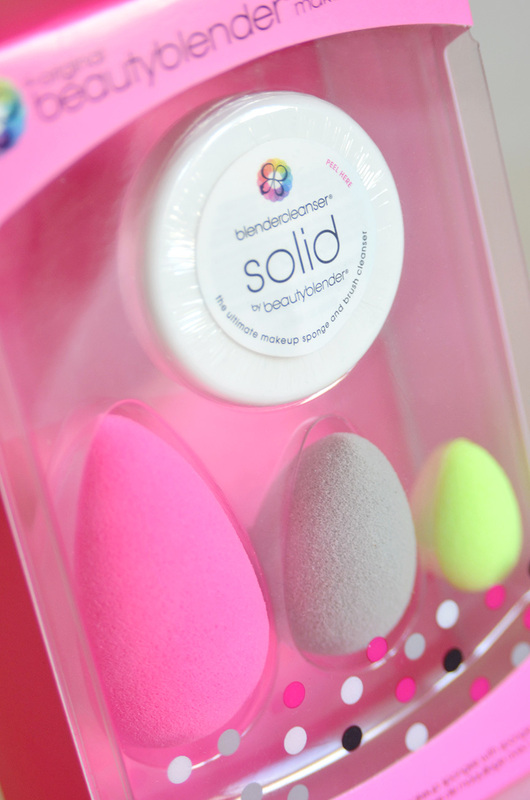 A mini BlenderCleanser is also included to keep those blenders so fresh and so clean, clean. 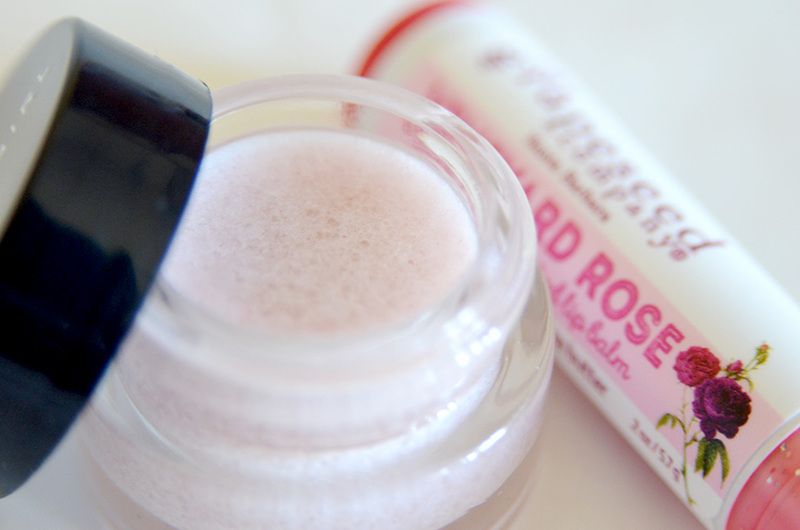 Keep dry lips at bay by giving them a gentle scrub down with French Girl Rose Lip Polish. Made with organic sugar, shea butter, and essential oils, this lip polish works overtime to rid lips of rough patches and leaves them feeling silky smooth. I always carry a tinted lip balm in my purse to quickly add hydration and the perfect amount of color while on the go. The Grapeseed Company Rose Tinted Lip Balm is a sheer pink color, 100% natural, and is made with all organic ingredients. Oh, and let’s not forget about the vintage packaging—so cute! Pixi Beauty Rosy Radiance Palette comes with eight eyeshadows, three eyebrow shades, an all over glow powder, blush, and contour. The colors are a mix of bronze, rose, and champagne and will give you a stellar luminous glow. Mix and match the shades for a variety of looks. 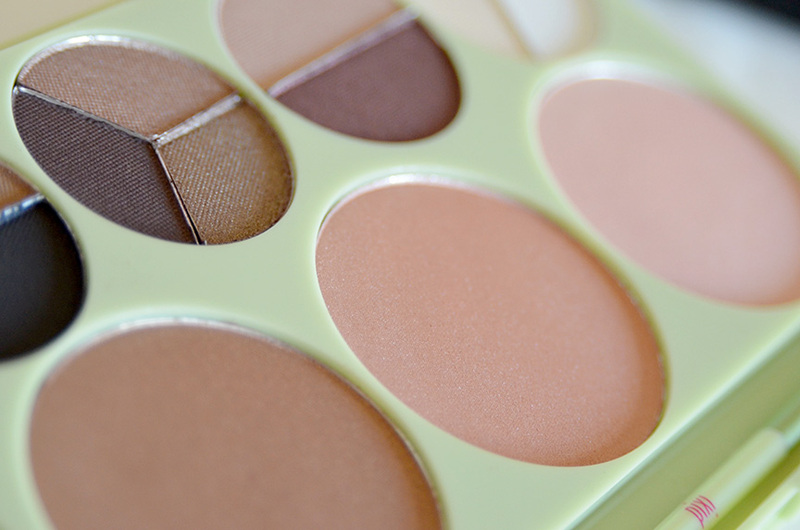 This palette will not disappoint. 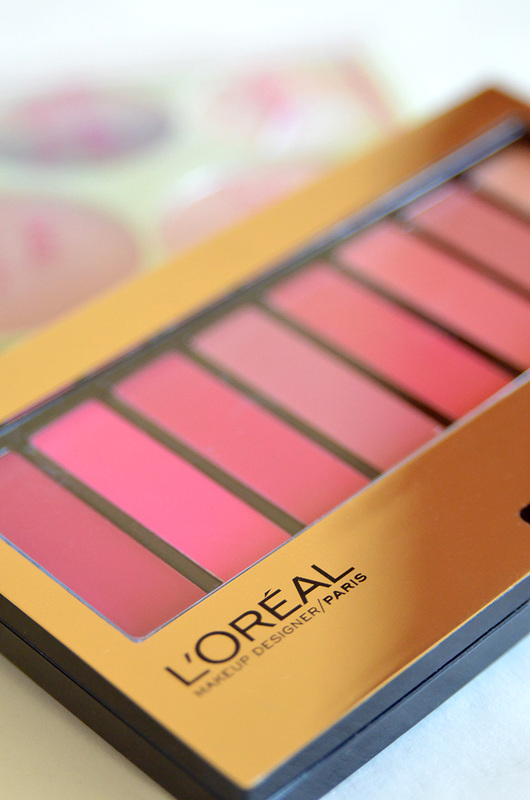 With so many colors and textures in the L’Oreal Pink Lip Palette, there are endless possibilities when it comes to choosing a lip color. You can wear any of the eight pink-hued shades on their own, or make a signature color just right for you. I personally love mixing the first and last shades together to get a romantic and shimmery fuchsia. Gorgeous! 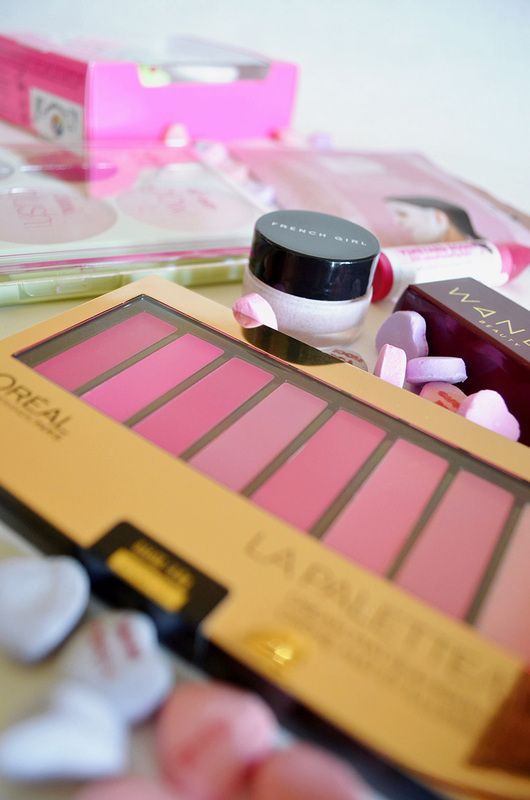 If you’d like to enter my makeup giveaway, (and I hope you do!) keep reading for details. • Don’t forget to share my giveaway with a friend! You must do all four steps to qualify. One entry per person. Giveaway will end February 14th at 12 am PST. I will announce the winner on February 15th on all of my social media channels. Open to U.S. only, sorry no international. Oh thank you for this awesome giveaway!!!! I hope i win!!!!! #rosesarered following on all social media! I shared this post via the Facebook share button at the bottom. Sorry all that happened, Annette! I hope it all worked out. Good luck on the giveaway! #Rosesarered i am blue about not seeing you (in new york) ! Haha! Thank you Rose! Miss you! #RosesareRed. Excited for the giveaway! #RosesareRed Hope you have a great Valentine’s day! Some #RosesareRed but some are also yellow, too. #RosesareRed Thank you for awesome giveaway!